Tasmanian Anti-Discrimination Commissioner Robin Banks is laying down the law to improve access to the state’s justice system for people with a disability, with the development of a new justice strategy. “The law is here to protect all of us and the most vulnerable people surely need to be afforded the greatest protection,” Banks said. But within the justice system, limited understanding of mental and physical disability has serious implications for those seeking support and redress. “I have seen sufficient levels of difficulty for people being believed because they have a disability to say it’s a problem we need to do work on,” Banks said. 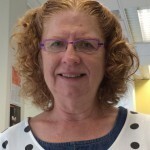 Her impetus to develop the Tasmanian Disability Justice Strategy has come from her current role, personal experience as a lawyer, and was partly driven by the recommendation from the former Federal Disability Discrimination Commissioner Graeme Innes for all states and territories to develop a disability justice strategy. “I meet with my colleagues in other states and territories regularly. South Australia is well advanced on its strategy. Their focus is mainly on the criminal justice system which makes a lot of sense,” she said. “It is partly our own work here in response to that national inquiry but also working with people with inquiries about their situations, partly my background in disability law and the experience people, particularly with cognitive impairments and mental illness face in trying to negotiate the legal system and trying to get assistance. “I have worked in Sydney where the access to pro bono legal service is very well organised through Justice Connect. It is rare but relatively straightforward to access advice if not representation, for people [with a disability] who have a reasonable cause for action. “That is not the case in the Tasmania.There is a very low level of pro bono service here and it is not through anything as formal as Justice Connect. The Law Society does have a pro bono committee but it hasn’t caught on in the same way. Banks said smaller communities with less resources could also miss out on the activity and momentum generated in bigger centres like Sydney and Melbourne. Tasmania is currently looking at the possibility of a combined civil and administrative tribunal which Banks said she hoped would be a good space to generate more access to justice, not just for people with a disability but other groups who were disadvantaged. The first phase of the Disability Justice Strategy involves a whole of government steering committee with representatives from the justice sector and a reference group from the disability sector to audit both the highlights and gaps in the system. The second phase involves further research and analysis of local and international experience to from a package of reforms including urgent and long term initiatives. The reforms will be presented to the Attorney General for adoption. Banks’s term as commissioner ends in January next year when she would like the strategy to be complete. “The justice system isn’t really designed for getting at the truth of things. It is an adversarial system. We have seen really great developments in the way children, victims of sexaul crimes are treated. Some of that has had a benefit for people with a disability but I guess we are not seeing enough,” she said. Banks said she was confident Tasmania’s size would help with making the shift. “It has the capacity to test things, do things differently, there is not a huge machinery of government but there is the opportunity to try things and use that sense of community. People know people, and that can make a difference,” she said.